What is Kuler? Will it keep my beer cold? No, it won’t. 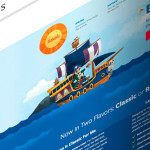 Kuler is Adobe Labs’ latest web application geared toward the design crowd. 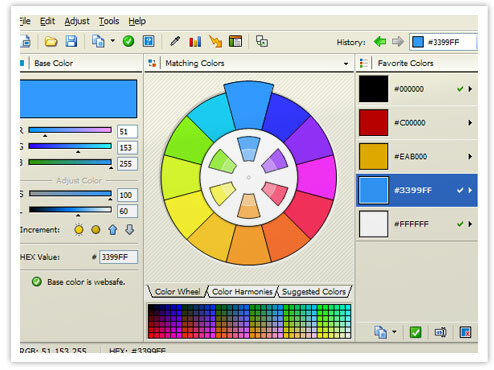 It is a online color scheme creator, for lack of a better term. With kuler, you can creat your own scheme, search other users schemes, and share your schemes online. You can even download them as Adobe Swatch Exchange (.ase) files, but those are only usable if you have Adobe’s Creative Suite 2 programs. If you don’t, you can always use the screen color picker in your copy of Color Schemer Studio, or of course you could use the Colorzilla add on in Firefox. Reminds me a lot of the ColorSchemer.com scheme gallery. Except here you can actually create the color scheme online. Then share it with the world, so that other users may download your creation. Download others themes, or create your own to let others use. You do have to have an Adobe ID to create or download, but sign up is easy and painless. The Adobe Labs page says Kuler is being released as a technology preview, free of charge. Now whether that means it will someday be charging for it, I do not know. 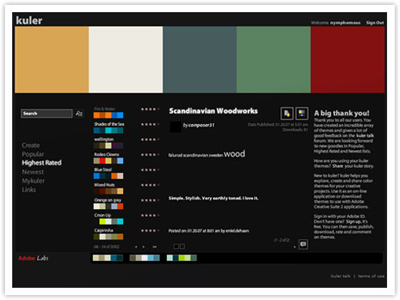 So for now, check it out for free, download some of the great color schemes available online, and give a try at creating your own. 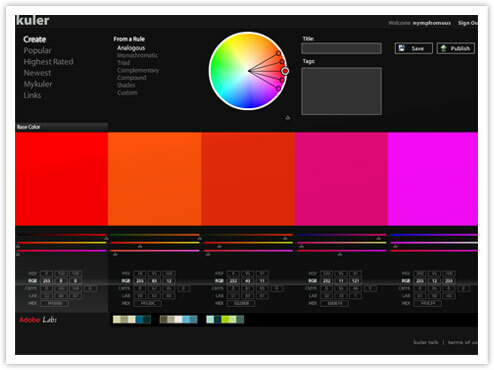 I personally have been using Color Schemer Studio(shown below) for years, mainly for color picking and some themes, but this may be a great online alternative. Check out Kuler, or Color Schemer Studio. They are both great applications. http://www.colourlovers.com/ – looks like a good resource also!